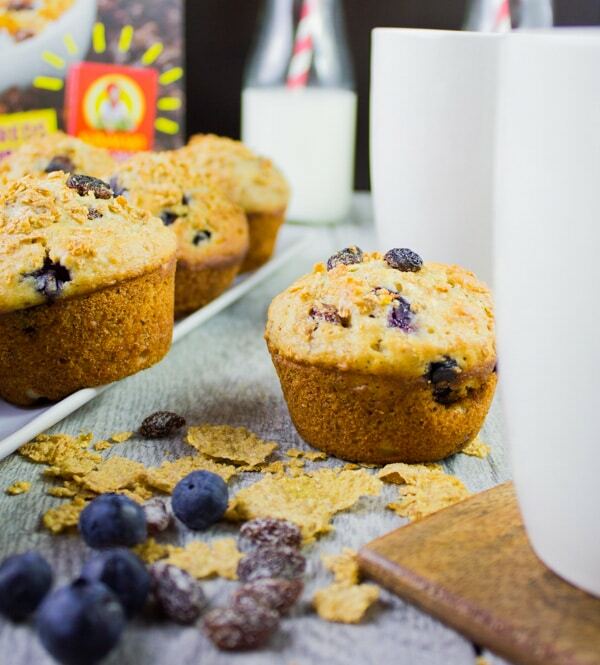 These healthy Blueberry Raisin Bran Muffins are the perfect breakfast muffin! They are made with buttermilk for extra moisture and a fluffy texture as well as whole wheat flour to make them more filling and nourishing! 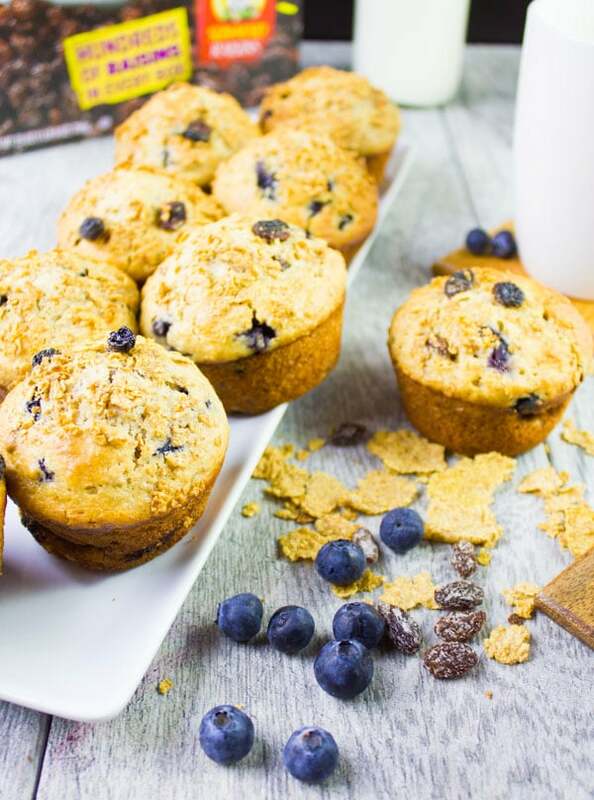 These Ultimate Blueberry Raisin Bran Muffins are tender and moist from the added buttermilk and loaded with blueberries and crunchy raisin bran. The perfect healthy breakfast muffin! 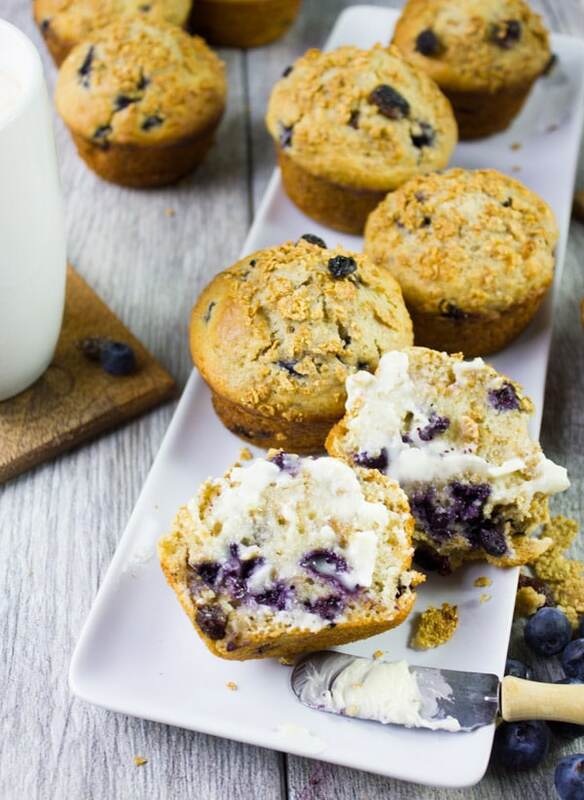 Imagine nutty, fibre and protein-packed Raisin Bran added to a moist buttermilk blueberry muffin! SO. DARN.DELISH! 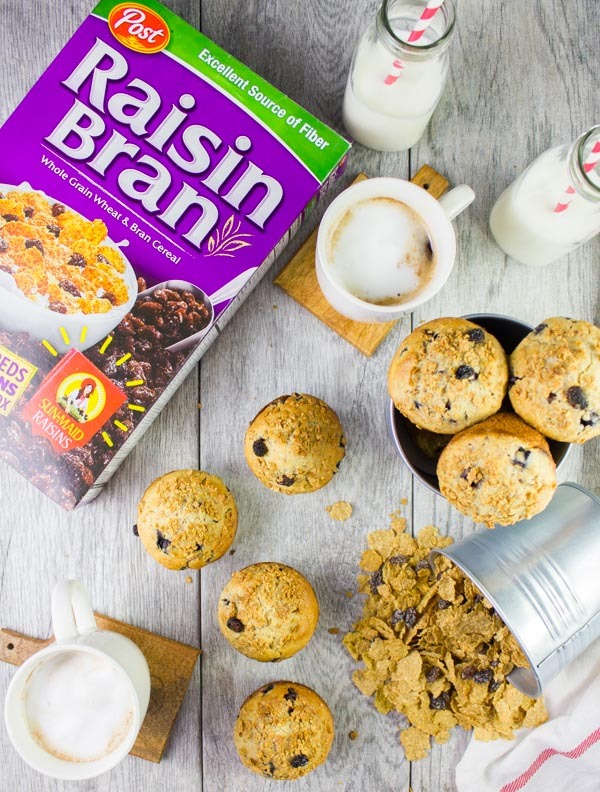 You need to try these Raisin Bran Muffins for a really tasty filling and wholesome breakfast! 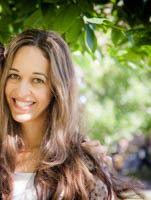 They are the perfect snack for all those who like to munch on sweet baked goods while maintaining a healthy lifestyle. 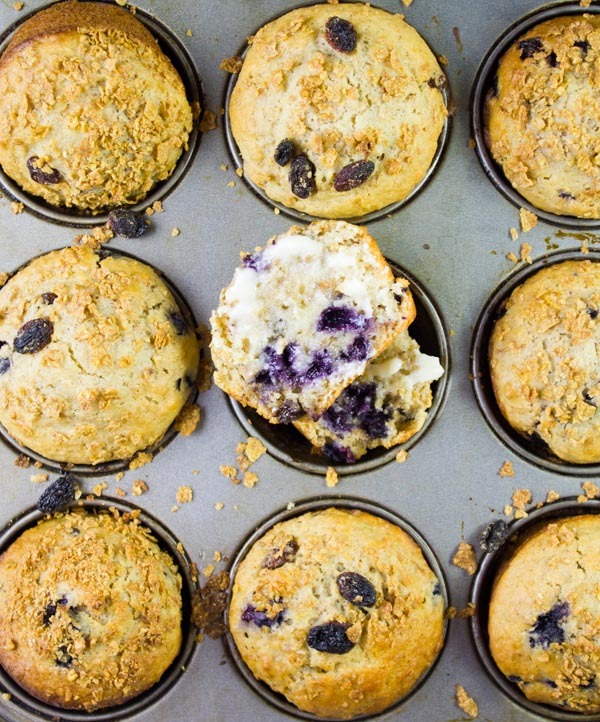 The muffins were born out of a craving for a healthy easy delicious breakfast muffin. Guys, these are healthy but also delicious – a real keeper! The girls devoured these raisin bran muffins in no time at all, and not because they’re sugary or fried, but because they were SO yummy and loaded with blueberries. And who doesn’t love blueberries? Forget any bland, tasteless bran muffin you have ever had, these are NOTHING like that. 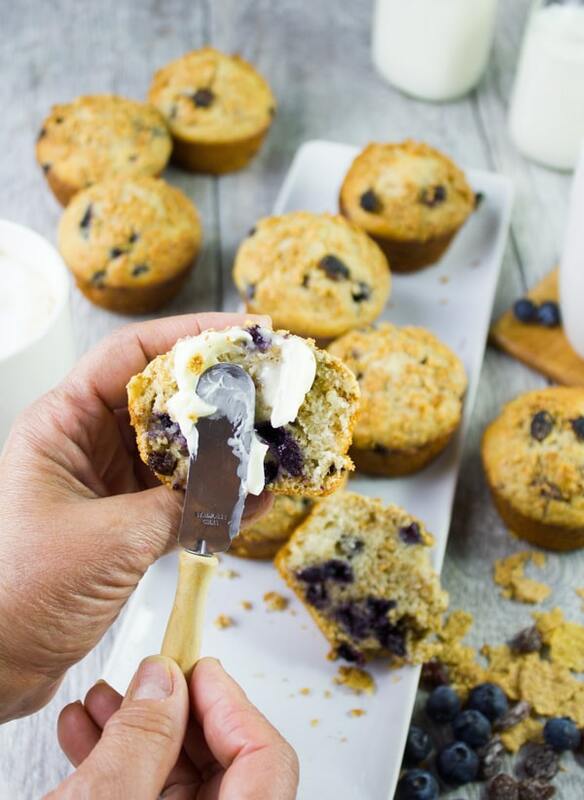 These are healthy muffins made with buttermilk, whole wheat flour and plenty of fresh blueberries! Trust me, you’ll make them over and over, share them and talk about them forever! Thanks to the buttermilk, they’re ultra moist, fluffy and have such an amazing bran flavor. 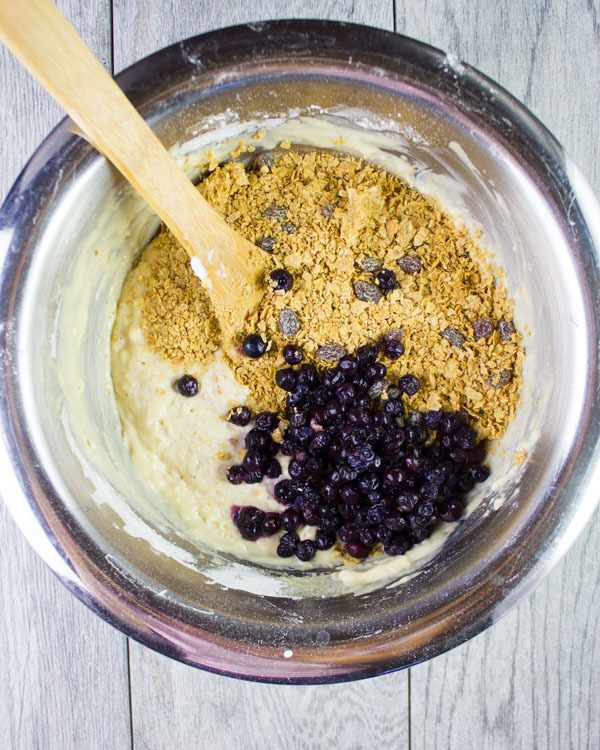 Not sweet at all as we only add a tiny bit of brown sugar, so the raisins and blueberries add a good load of sweetness here. I love how delicious and good for you these Raising Bran Muffins are! My little one ate those muffins two days in a row for breakfast and just a few days later she asked for them again. I may sound like a crazy mom right now, but if you have a picky eater you’ll totally get how HUGE this is! First, you’ll need 2 cups of Post Cereals Raisin Bran in a zip lock bag which you’ll crush with a rolling pin. Place the wet ingredients in a large bowl and dry ingredients in another bowl. Then add the dry to the wet ingredients and mix. Fill the lined molds of your muffins tin with the prepared batter. 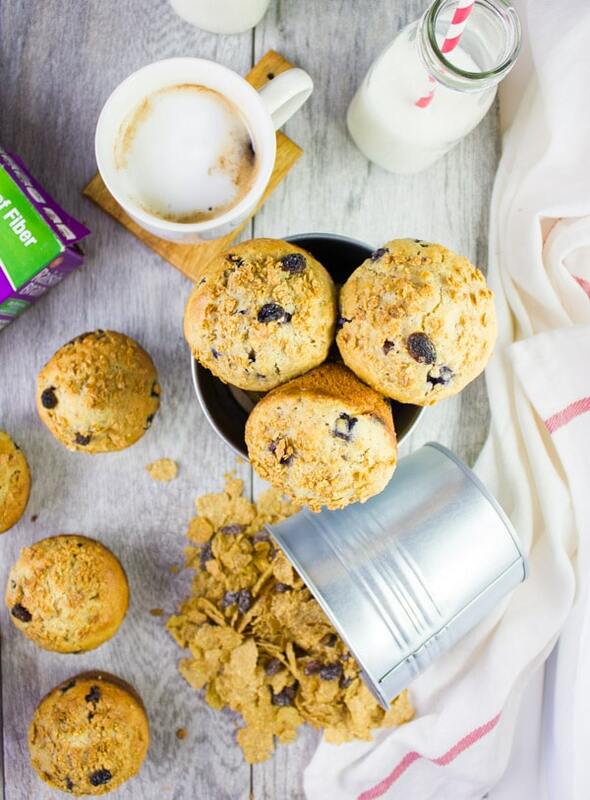 Bake the raisin bran muffins for 16 minutes and they’re ready! I like my Blueberry Raisin Bran Muffins fresh out of the oven topped with some softened butter! 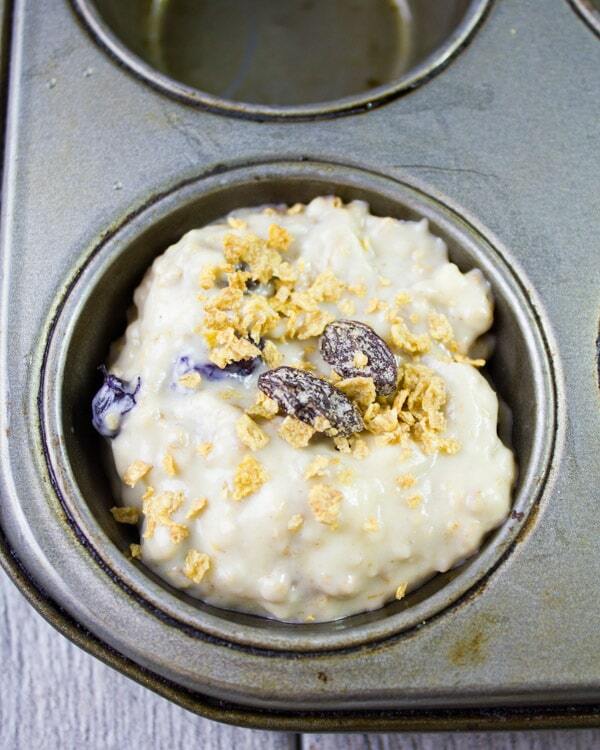 Before baking the muffins, sprinkle them with extra Cereals Raisin Bran for some crunch. 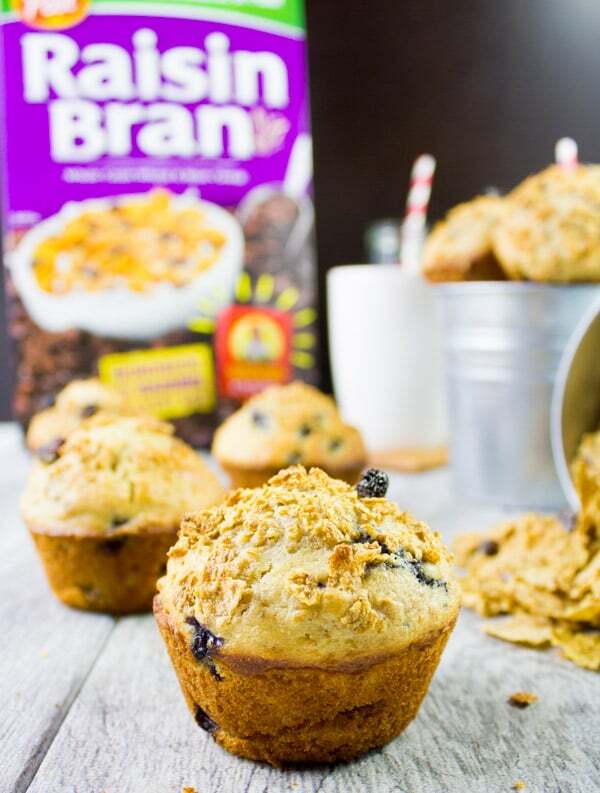 Tired of Raisin Bran Muffins? Try Blueberry Raisin Bran Pancakes. Go to the recipe for Fruity Pancake Recipe . To make the bran version, simply remove 1/3 cup of flour and replace that with the crushed bran. Then top the pancakes with more crushed bran and blueberries. Whole Wheat Apple Muffins –a seriously moist apple loaded muffin! Cream Cheese Banana Bread Muffins -The dreamy banana bread stuffed with a layer of cream cheese! 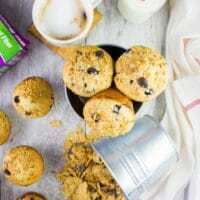 Ginger Clementine Lemon Poppy Seed Muffins –The ginger and clementine combo here are unbeatable! Lemon Raspberry Almond Crunch Muffins — Bright, fresh, crunchy and sweet! Cinnamon Rolls Muffins –this one is a real HIT, it’s a cross between muffins and cinnamon rolls! In a bowl, add the flours, baking soda and salt. In a larger bowl, add the eggs, vanilla, sugar, oil and buttermilk. 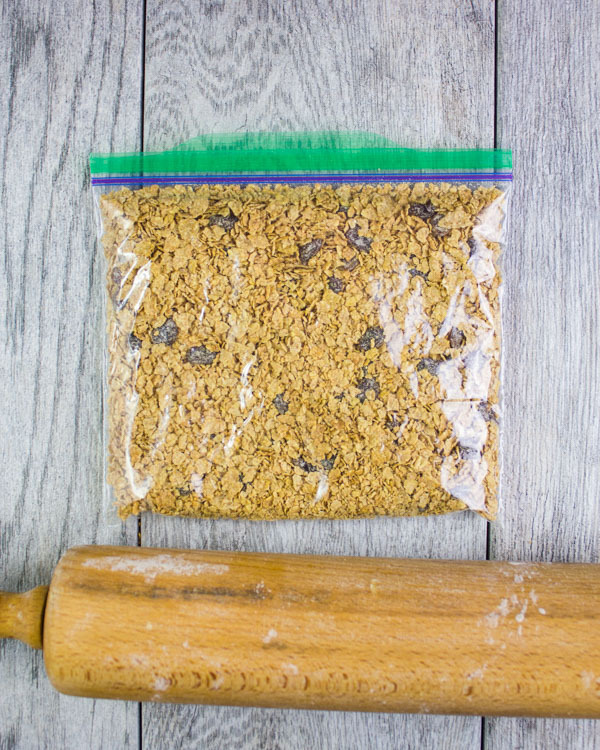 Place the Post Cereals Raisin Bran in a ziplock bag and use a rolling pin to crush the cereals into oat size pieces. Add the crushed Post Cereals Raisin Bran (removing 2 Tablespoons for topping) to the flour bowl. Then add that to the wet ingredients bowl, and add the blueberries. 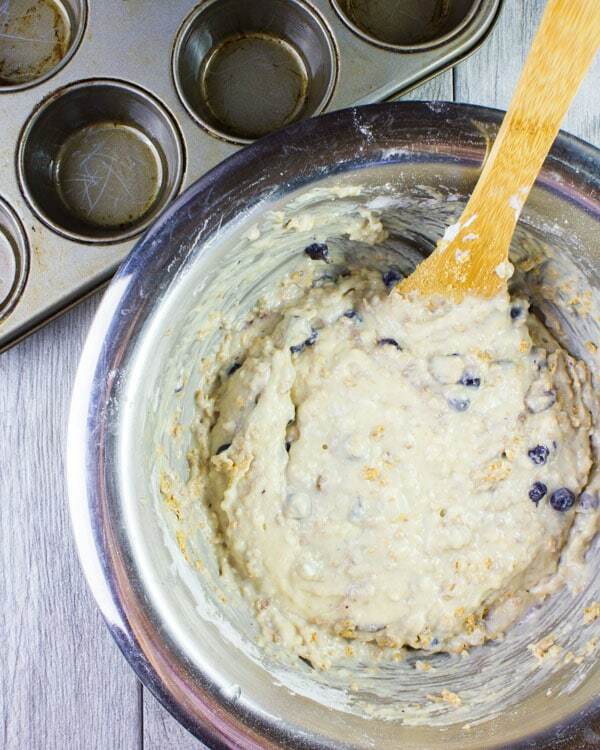 Use a spatula to fold in all the ingredients together and divide the batter into a 12 cup standard muffin pan. Tired of Raisin Bran Muffins? Try Blueberry Raisin Bran Pancakes. Go to the recipe for Fruity Pancake Recipe . To make the bran version, simply remove 1/3 cup of flour and replace that with the crushed bran. Then top the pancakes with more crushed bran and blueberries! A breakfast dream come true! I also love the idea of the raisin bran pancakes! Bran muffins are my favorite. I love them even more when they are filled with blueberries. The muffins look so good and I would love to have them for breakfast! I wish I would have seen this recipe earlier. We love bran muffins and here I made some banana muffins this morning. I would have made your recipe instead. I agree with you, bran is so doggone good for us and I should be including more fiber in my diet. I’m pinning this recipe to make next week. Bran muffins are one of my favorites (definitely top 2!) so to see these packed with not only raisins but blueberries too makes me really happy. I think these look like the perfect breakfast on the go but they would also be spectacular warmed up at home with a small pat of butter. Yum! Never tried bran muffins before but this recipe got me really interested. I love how healthy these sound, and they certainly look super delicious. I must put this recipe on my list to give it a try. I bet my family will love these too. I am absolutely sure about what I am going to have for breakfast next weekend. These muffins look so moist, and I am sure they are perfect to start the day right – yum! This is the perfect way to start the day – delicious and nutritious!